The more stuff we have in our lives, the more time and effort we need to put in to maintain it. Things break all the time, and sometimes the damage caused by other factors, as well as the wear and tear caused by time cannot be avoided. This means that we always have something to fix or replace, it is just how life goes. 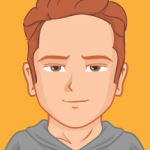 In some cases we really have no desire to do something in particular, which means that we either postpone the task or we do the bare minimum, according to the situation. The list below shows how some people tried to do a repair job or to complete a task without putting in much effort or none at all. 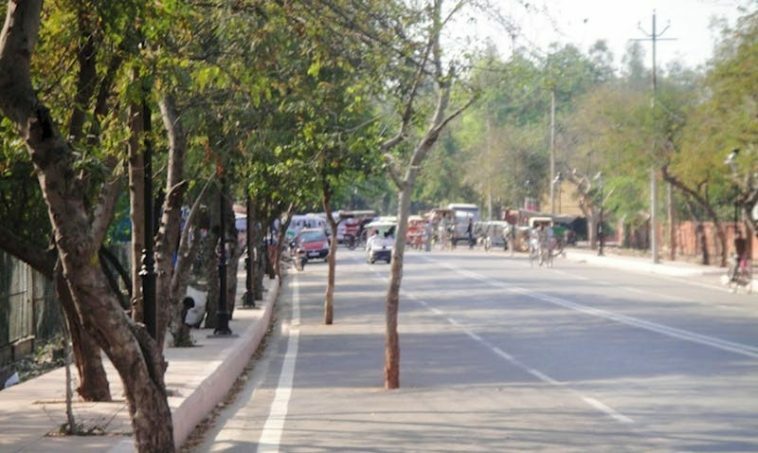 Well, this is an image that really made us wonder why did someone bother at all to try and fix this wall. The hole looks really strange, but regardless of the reason for the damage, the person who tried to fill it should have done it in the right way. 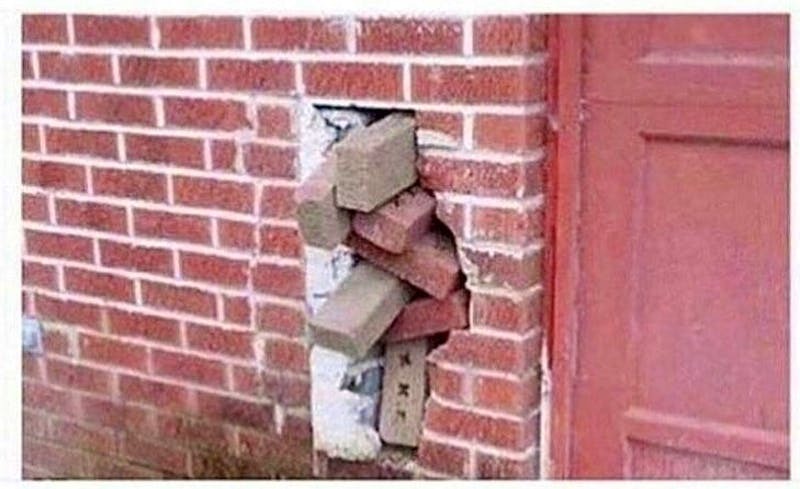 Using bricks this way is not going to work. We guess that they only tried to cover the hole until a bricklayer comes along and does the job. We guess that when it comes to fixing structures line power lines, things need to be handed only by professionals. Some tasks require certain skills and experience, and we guess that power lines and their maintenance require these things. 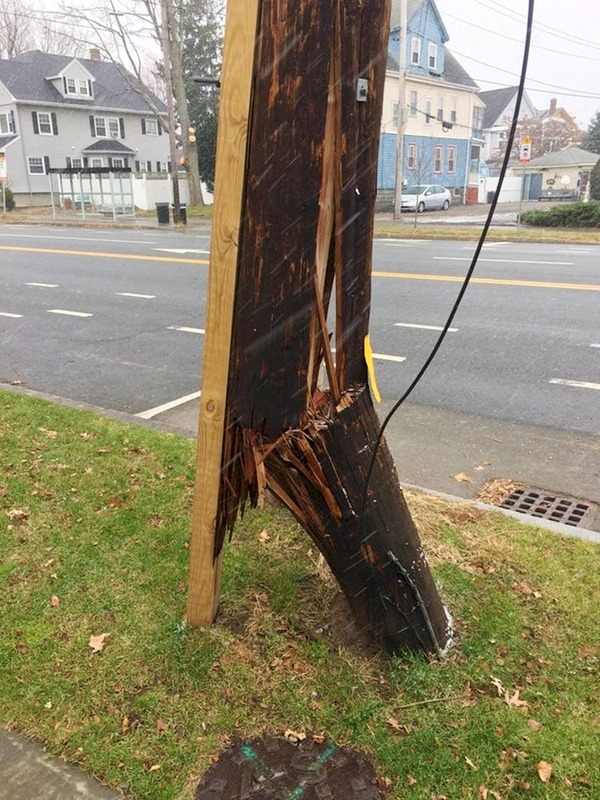 As you can see, this telephone cable pole snapped, but someone decided that it is not that bad and simply decided to add a support beam. This is not going to last. 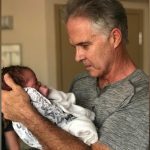 We are more than certain that most of you have been in a situation when some quick thinking and improvising were needed in order to make things work. As you can see here, someone decided to do something about the broken mirror in their office bathroom, but mirrors don’t just sit around waiting to be mounted. 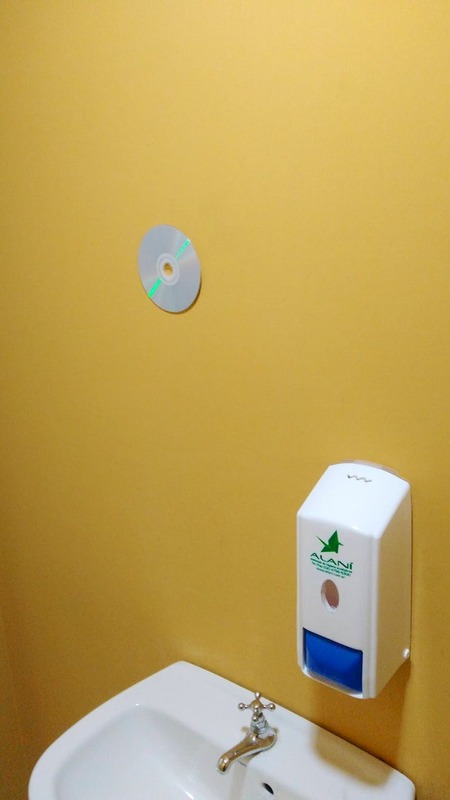 This is why the person chose the item which was the easiest to put on the wall which also had a reflective surface. People are capable of doing a lot of controversial things, but there is no room to wonder about this one. 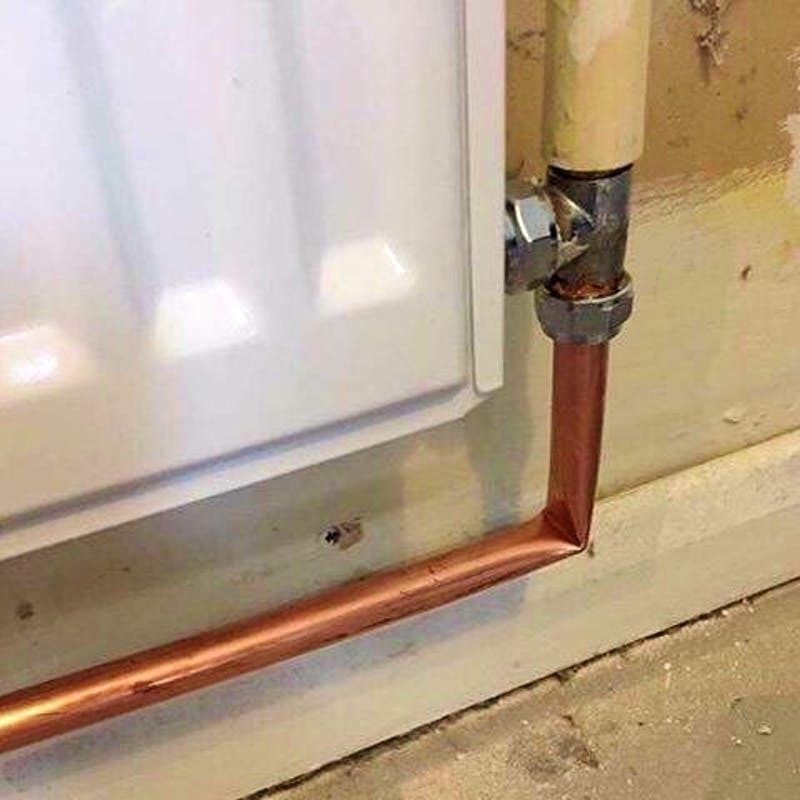 Whoever did this need to find another thing to do for a living because it is only a matter of time for that pipe to burst! Even if it is strong enough to withstand pressure, the efficiency of this system will be nowhere near the level it needs to be on. 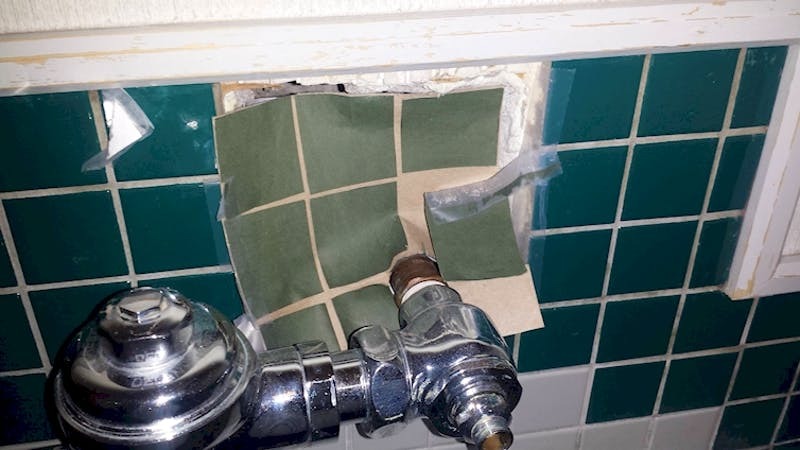 We have seen many sloppy repair jobs, but some of them really push the envelope and this one is a perfect example. Duct tape is a wonderful material and we have tested its qualities numerous times before. 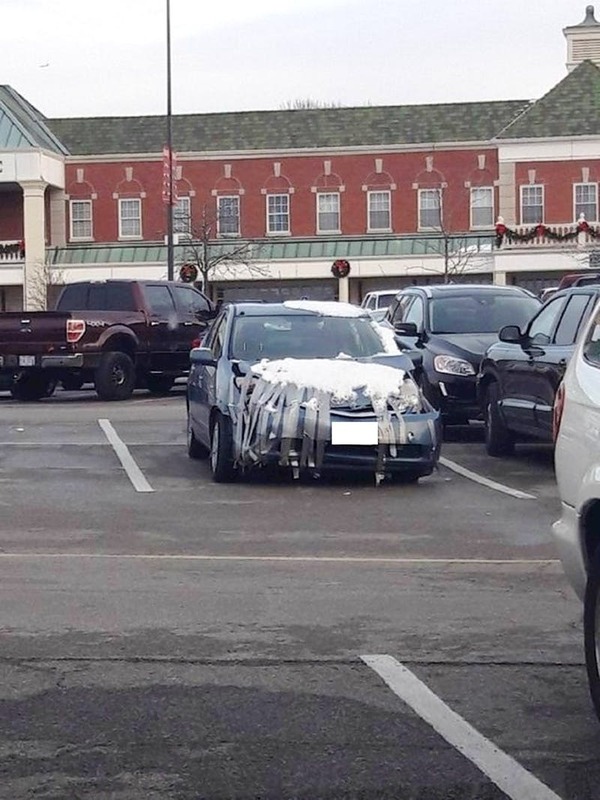 However, fixing a vehicle that was severely damaged in what seems to be a head-on collision with duct tape is definitely not a good idea and it is nowhere near a safe solution. Well, we cannot say that the job was done, actually. And you can clearly see that it isn’t. Someone took their time and threw in a bag of cement, but not the contents of the bag – they threw the whole bag in! Why bother with driving to that pothole and trying to do something about it you do not intend to do it right. We guess that the situation is even more dangerous than it used to be before the repair attempt. One of the most painstaking tasks when it comes to construction work is arranging tiles on floors and walls. People think that it is like a game but we beg to differ. It requires patience, a steady hand a lot of skills. If you have never done it before, you would probably fail the first couple of times. The person who tried to patch this section in the tiles obviously has zero experience doing it. 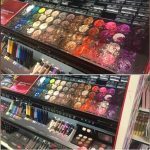 We love seeing clever DIY ideas and fortunately for us, people come up with such ideas all the time! As you can see, someone decided to make their own power outlet adapter and it looks like it is a bad idea! We wonder how this is even possible to be made without getting electrocuted. The person who came up with the idea should be glad they are still alive and well. Most people sadly neglect all kinds of safety instructions and guidance, especially when it comes to different signs and warnings. 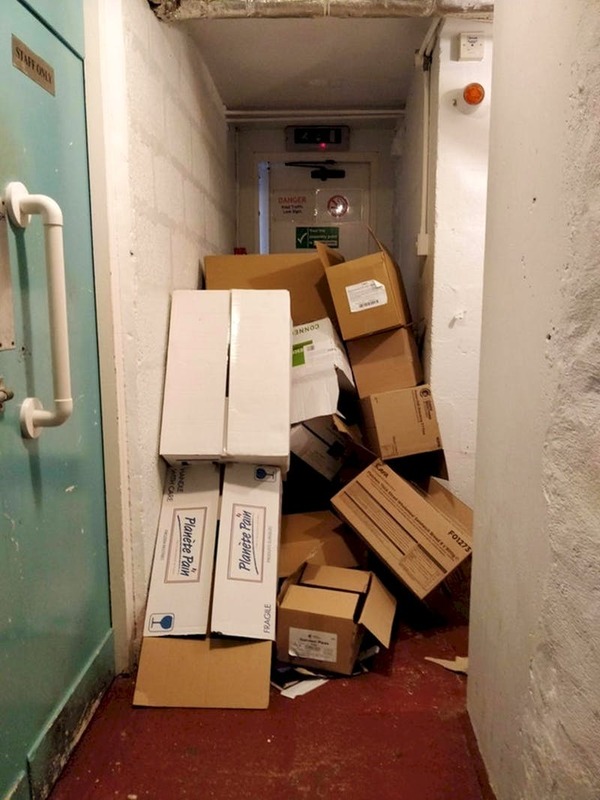 We believe that whoever thought the fire exit is an appropriate place do be used for storing and dumping old boxes and other kinds of junk probably did not notice that it was an actual fire exit in the first place! We hope they never get to use it! This is another classic case of a fast and inefficient repair job, and we cannot believe we actually see this! 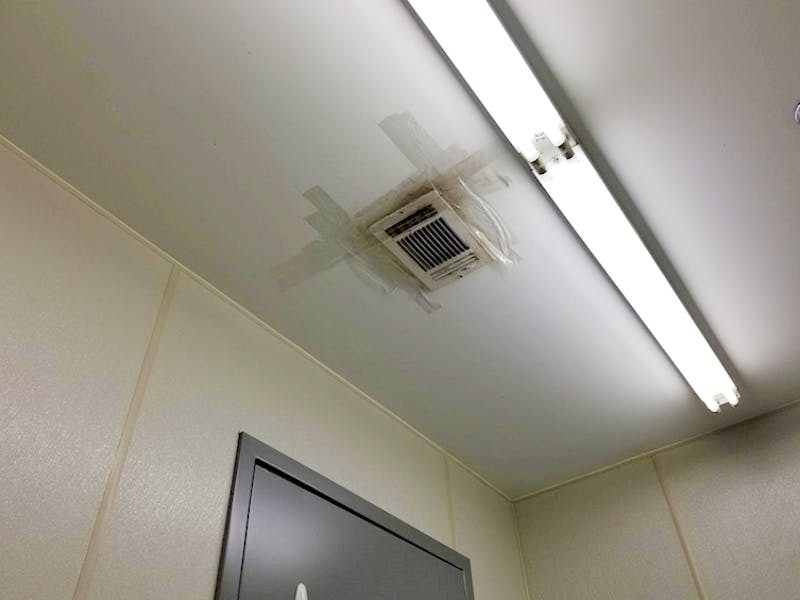 How could someone think that duct tape would be strong enough to hold that vent forever? There must have been at least a dozen better ways for this to be done, but this was surely the easiest one. If you noticed this and you had to pass beneath it several times a day, it would probably give anxiety! We guess that when it comes to maintenance, people can easily be differentiated by the way they take care of their personal belongings and possessions. This bicycle is a nice example. As you can see, it looks like it was pulled out of a lake, just take a look at that seat! 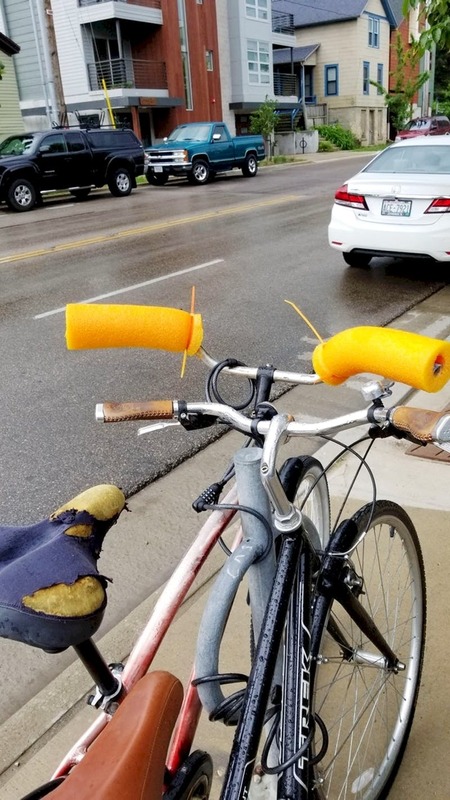 But the best part about it is the items the owner decided to replace the handle bars with. Yes, those are pieces of a pool noodle! We doubt that they provide any grip at all, not to mention the ridiculous way they look! This is definitely not the first time we see someone who followed the ‘not my job’ rule. People often say that they could not do their job right because someone else failed to do theirs. 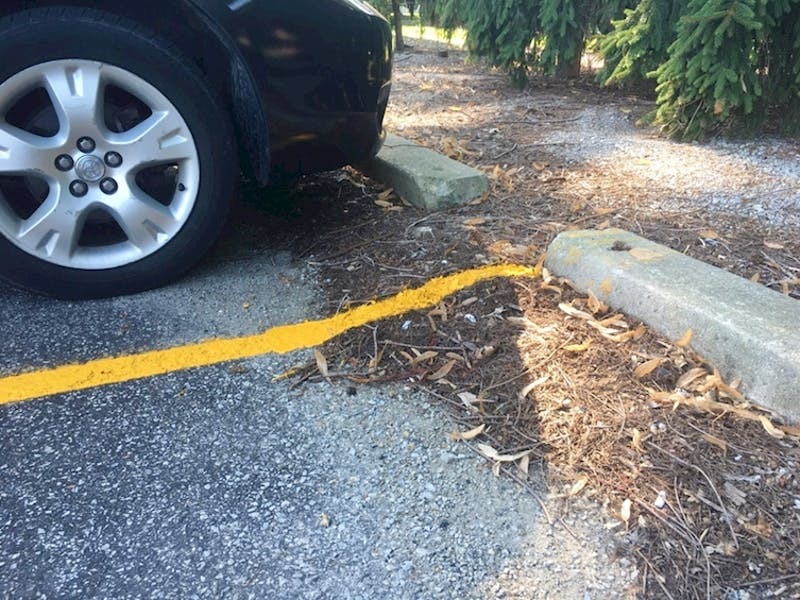 As you can see, the person responsible for drawing the lines on this parking lot only had to remove these leaves with a single motion of their other hand, no big deal. Still, they decided to paint over the leaves instead! When you are not sure that you have the right abilities to do a certain thing, you do what you need to do and you call a professional to do it! This is what happened here. A person knew very well that they had no electrical skills whatsoever so they called an electrician. The professional replaced the power outlet, took the money and left. 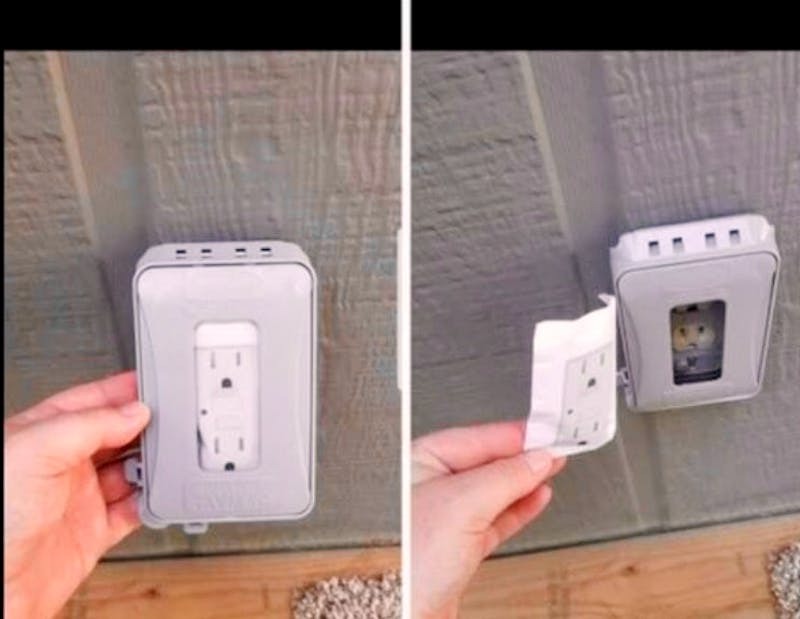 It was only later that the person who paid for all of that discover that the electrician actually did a cover-up of the old outlet, meaning that the whole thing is meaningless! The client who paid for this service will surely check the result of someone’s work before paying them next time. We are convinced that you have never seen such a thing before, either! These toilet seat reservoirs break all the time and in most cases people just throw them away, despite the fact that they could be repaired in most cases. However, repairing them also requires some skills and the right tools for the job. 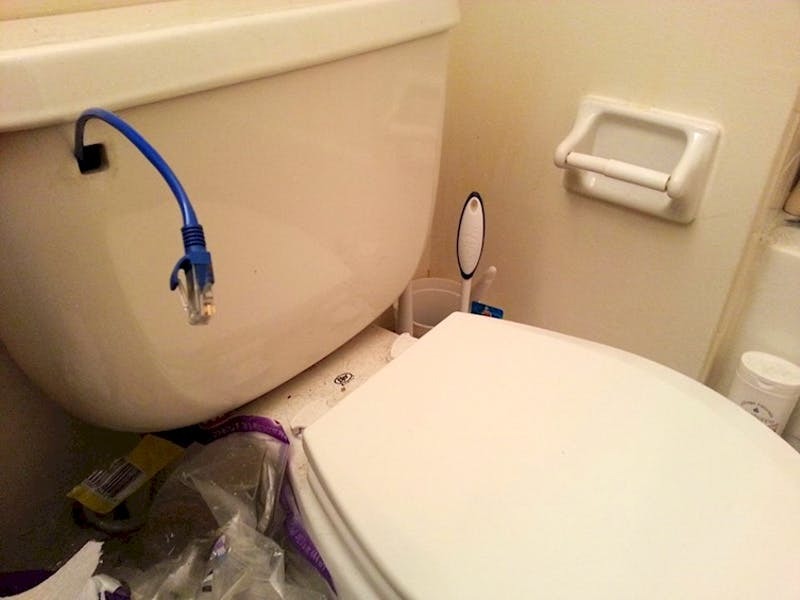 It seems that someone had to fix this particular toilet really fast, so they grabbed the first thing they thought that would do the job – an Ethernet cable! It looks odd, because it is! Just imagine pulling down that cable in order to flush the toilet! 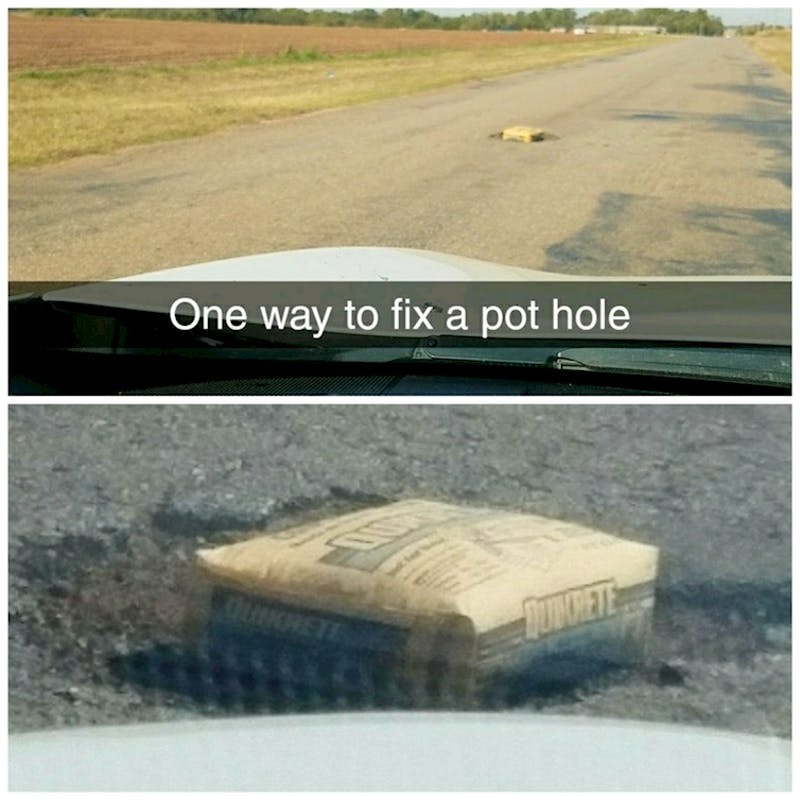 This is one really weird way to fix something and we guess it did not work as planned! 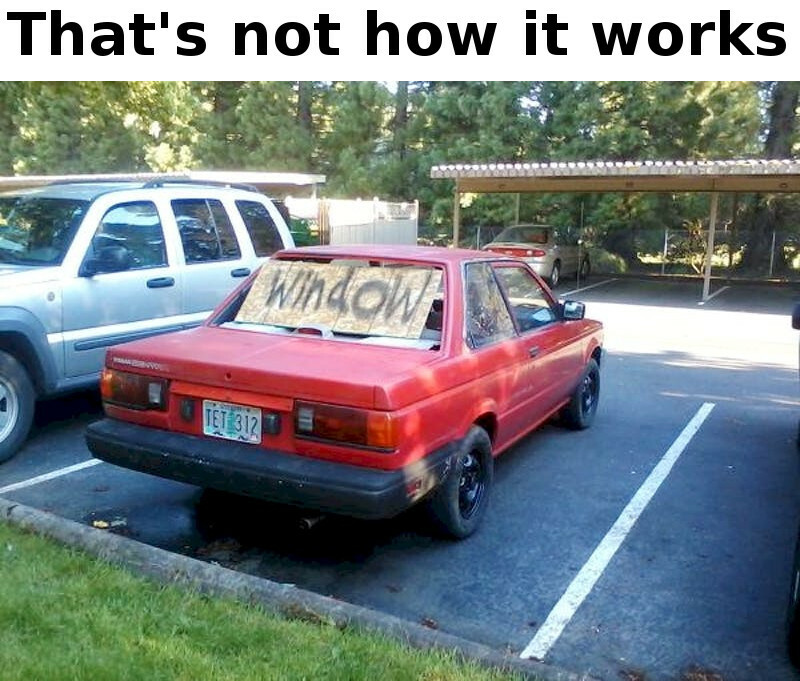 Seeing that piece of plywood with the word ‘window’ written with spray paint is probably the funniest attempt for a repair job we have seen in a long time! 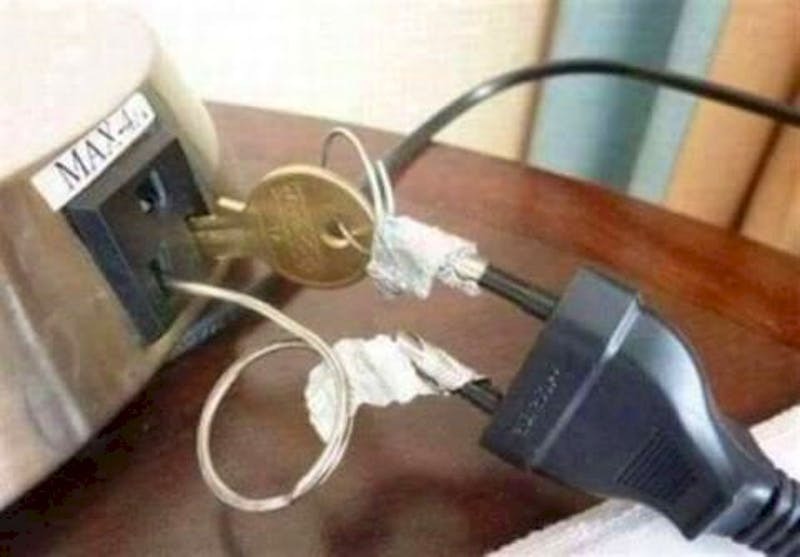 Sure enough, the person could not fool anyone with a setup like that, so they decided to improvise and make the quick fix amusing for everyone who sees it. We guess it worked like a charm and we laughed about it, but we hope the driver got a new rear window soon enough.